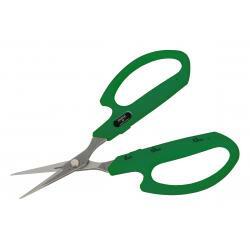 Shear Perfection® Senshi™ Series Stainless Steel Angled Blade scissors are perfect for any trimming application. 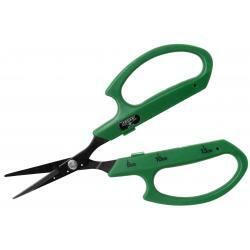 Made of high quality Japanese Steel these Bonsai style scissors are easier on your hands and allow for more precise cutting motions. 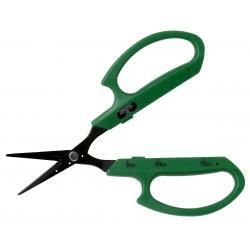 The angled design of the blade allows for maximum precision when cutting in tight and close quarters. 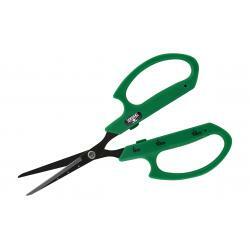 Shear Perfection® Senshi™ Series scissors feature an ergonomic handle with index finger placement that allows for the most comfort for both right or left handed use. 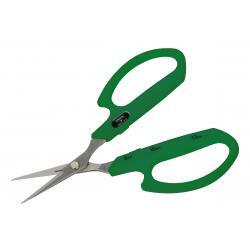 These highly durable scissors are able to be sharpened. Overall length is 6 in. Made in Japan.